Designed and Made in England By Hardy Punglia for The Left Bank. 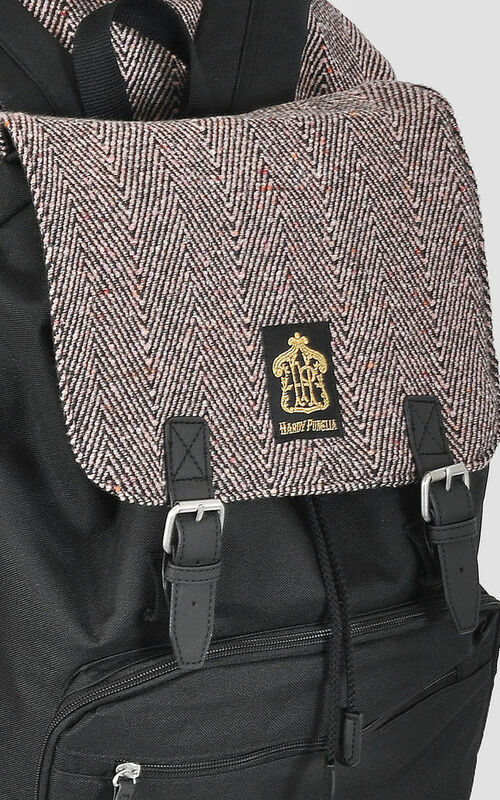 This stunning and incredibly cool, fully waterproof backpack features a 100% pure wool pink and black herringbone fabric flap. 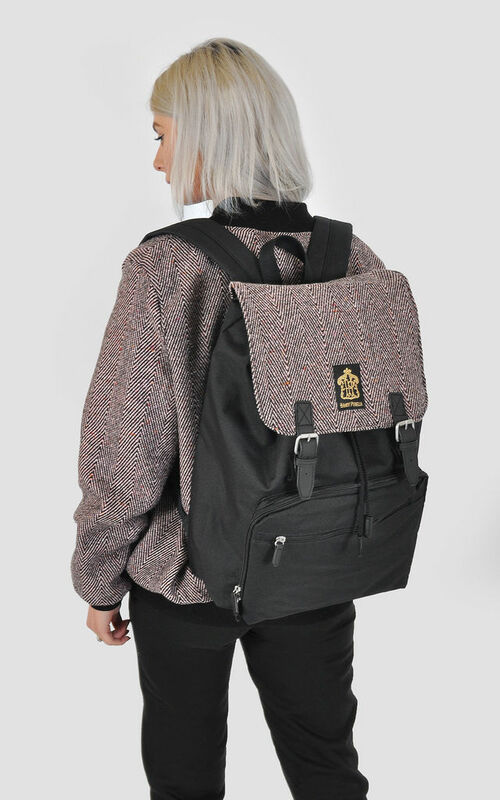 The backpack is reasonably large and contains a separate compartment for a laptop, which can fit a laptop up to 17", or you can just use the space for files/books etc..The buckle fastenings are magnetic making it easier to get in and out of the bag. 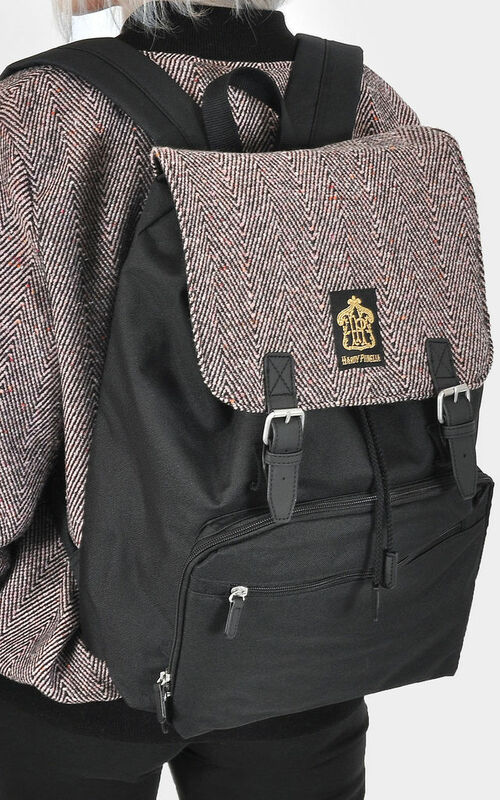 This backpack is very strong and hard wearing, perfect for work, University or back to school. :) NOTE: This is a non-seasonal item therefore will NOT appear in any Sale.